This 5-piece knife set includes a serving fork and 4 knives. 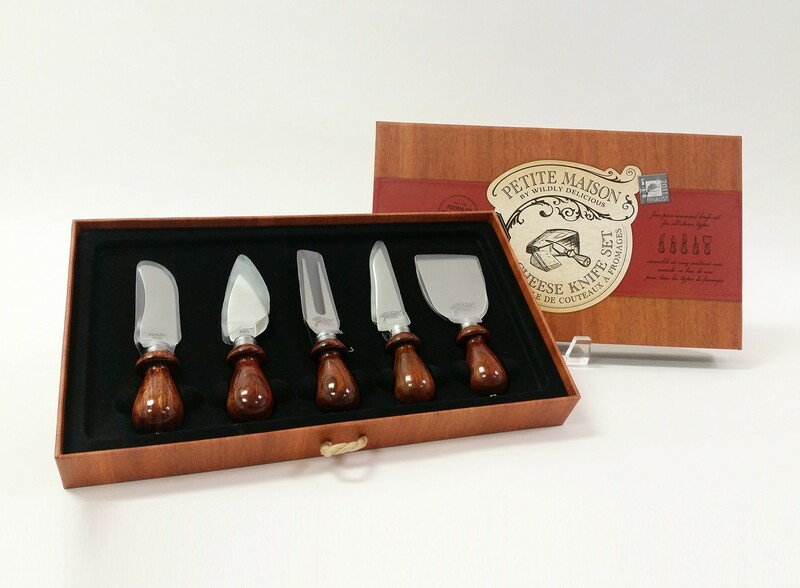 It features Rosewood handles and high-quality Japanese stainless steel blades shaped for a specific type of cheese. Award-winning set!